Netizens launched a social media campaign titled “Failed law” to express their opposition to the case withdrawal. The backlash prompted President U Win Myint to order for justice to be done. 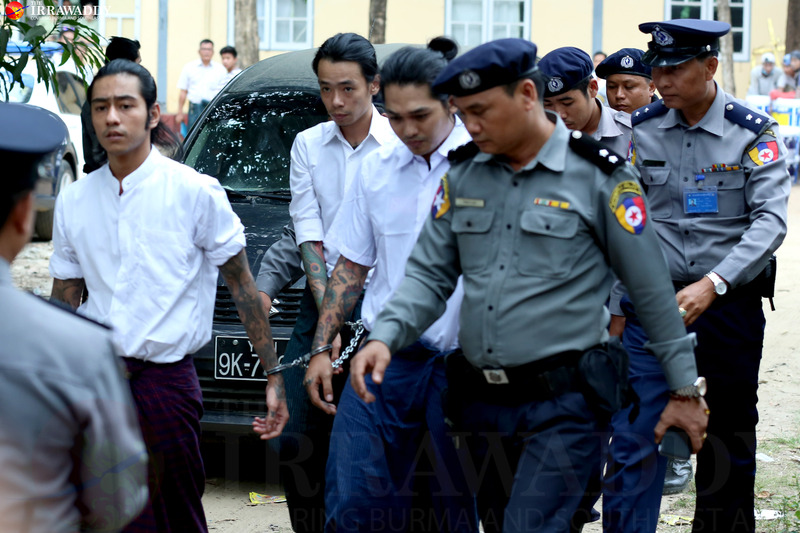 YANGON—What makes the withdrawal of the case against the accused murderers of Facebook comedian Aung Yell Htwe so controversial? The public howled in outrage over the court’s ruling to drop the case; lawyers, lawmakers and activists joined in the condemnation, calling for the officials involved in the decision to be investigated; and netizens launched a social media campaign titled “Failed Law”. The heavy backlash also prompted President U Win Myint to take notice of the matter. U Win Myint, who once worked as a lawyer, expressed his concern over the Aung Yell Htwe case during a meeting in Yangon on July 29 with Yangon Region administrative, legislative and judicial officials. “I worked as a lawyer for years, but never heard the kind of disturbing news [with regard to the judicial sector] as I am hearing these days,” he said. 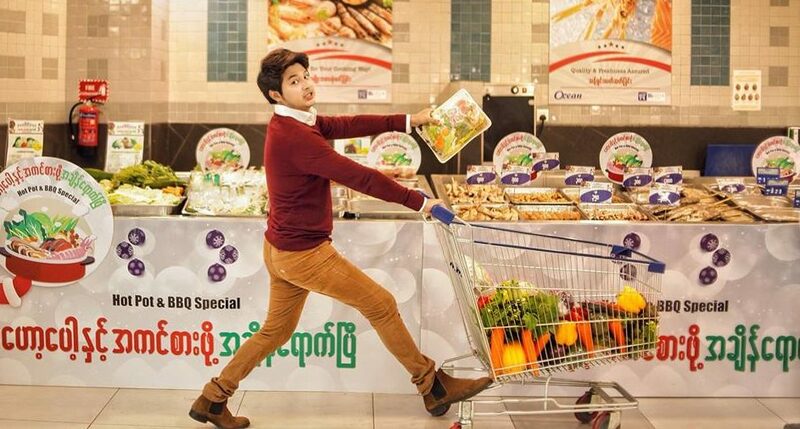 Aung Yell Htwe, who became popular for the series of short comedy videos he posted to his Facebook account starting in 2016, died after being kicked and beaten by a group of men while attending a party last New Year’s Eve with his girlfriend at The One Entertainment Park in Yangon’s Thingangyun Township. The 24-year-old was brought to Yangon General Hospital and underwent emergency head surgery, but died hours later. Three men were arrested, but after nearly six months of proceedings, the detained murder suspects were released on July 25 before any charges could be brought against them, after the Yangon Eastern District Court accepted an appeal from the victim’s family asking to settle the case. Lawyer U Htay said he was surprised when the investigation into the murder — which occurred in plain sight in a public place — was dropped, adding that he had never heard of such a thing happening in his 30 years of professional life. Another prominent lawyer, U Thein Than Oo, who is also a founding member of the Myanmar Lawyers’ Network, said the court’s decision to drop the case while the investigation remained incomplete was very unusual. The court heard from 14 of 22 witnesses for the plaintiff, including three friends of the detained suspects, six security officers and staff of The One Entertainment Park, two Thingangyun Township administrative officials, the plaintiff Ko Thant Zin Oo (a brother of Aung Yell Htwe), and his father—neither of whom were at the scene when the incident occurred—as well as the comedian’s girlfriend. Well-known human rights lawyer Robert San Aung said the withdrawal of the case was suspicious, as the most important witnesses in the case, including the forensic pathologist and police investigators, were not heard from, and CCTV records were not produced. The Yangon Region Attorney General’s Office had responsibility for supervising the process of producing those witnesses and pieces of evidence, he said. The office is led by region Attorney General U Han Htoo. According to court documents, the office found no solid evidence that the three suspects kicked and beat the victim, inflicting his fatal head injuries. Thus, the office approved the dropping of the case, saying there were insufficient grounds to continue. The office’s approval was submitted to the court, which ruled on July 25 to drop the case. Its judgment stated that the court had allowed the withdrawal of the case because the plaintiffs wanted to settle; the eyewitnesses who had testified up to that point were unable to make definitive statements as to who inflicted the fatal head injuries; there was a lack of strong evidence implicating the accused; and the fact that the witnesses who had yet to be called were not the main witnesses in the case. “How did the court know in advance that the statements from the remaining eight witnesses wouldn’t be solid evidence for the case? Their decision was surprising and generous [to the accused],” said U Thein Than Oo, adding that the court should have called every witness on the list. During the proceedings, Aung Yell Htwe’s brother, who served as the plaintiff, and his parents testified that the victim had “heart disease” and that the incident was “an accident” between youths attending a party. The initial police reports stated that Aung Yell Htwe had an argument with the suspects four days before he was attacked. According to a Yangon Police statement on Jan. 4, suspect Than Htut Aung (a.k.a Thar Gyi)’s father brought his son to Thuwunna police station. Than Htut Aung testified to police that Pyae Phyo Aung (a.k.a Aung Lay) and Kyaw Zaw Han (a.k.a Kyaw Zaw) were also involved and that all three of them beat and kicked a man dancing on the VVIP stage who had argued with them before. The parents of the latter two also brought their sons to the police station. “I suspect the withdrawal of the case was the result of corruption or threats,” said Robert San Aung. Testifying in court, Aung Yell Htwe’s family denied they had been induced or threatened into dropping the case. They said they wanted to settle the case as the relatives of the suspects had taken the trouble to check on Aung Yell Htwe while he was hospitalized and apologized to them. Police objected to the withdrawal of the prosecution in March, soon after the victim’s family appealed to settle the case. Legal adviser U Khin Maung Myint said the judge should have carefully considered the objections of the police, who investigated the killing at the scene, collected evidence, and built a case before submitting it to the court. However, the judge decided to drop the case without even calling the police investigator who made the objection to testify. U Khin Maung Myint also pointed out that, strangely, it was witnesses for the prosecution — not for the defense — who claimed to have seen and heard nothing clearly. He said this could be a sign that witnesses were threatened or induced. “The judge didn’t make any cross examination to clarify doubtful points,” he claimed, adding that the investigation was too loose. President U Win Myint said during the meeting on July 29 in Yangon that settling felony cases is important for the rule of law, pointing out that the state has the authority to continue the investigation in such cases. “The court withdrawing a high-profile case because the plaintiff and defendant settle is pulling the wool over the eyes of the judicial sector,” he said at the meeting. In the following days, the president met the Union Chief Justice, Union Attorney General and Anti-Corruption Commission head and directed that a full investigation into the case be conducted. Amid the president’s intervention and with public criticism mounting over the dropping of the case, the Union Attorney General’s Office ordered the Yangon Region attorney general to annul the court’s decision to drop the case and to continue the trial on July 30. On the same day, the Yangon Region Attorney General U Han Htoo, who had approved the request of the victim’s family to abandon the case, addressed the High Court to seek a review of the court’s decision. Lawyer U Thein Than Oo said he welcomed the review, saying the court’s decision to drop the case was not a proper one and that the investigation needed to continue. On the other hand, some lawyers, including defense lawyers, defended the court’s decision, saying it was in line with the law. In a video with local news outlet News Watch, defense lawyer U Chit Ko Ko said the district court’s decision wasn’t wrong. “The decision was made in line with the law. Now they will review the case. They can do that. We will present [legal] arguments,” he said. The Yangon Region High Court will review whether to annul the lower court’s decision after both the Yangon Region attorney general and the defendants present their arguments on Aug. 29. “A person was killed. Even if there is a single point of doubt relating to that, we must continue the investigation,” legal adviser U Khin Maung Myint said. He claimed that one of the main reasons cited by the court in its judgment allowing the withdrawal of the case — that it was not clearly established who inflicted that fatal head injuries — could encourage gang killings. “It is really dangerous,” he added. The president’s intervention in this case has been widely welcomed as a hopeful sign of a strengthening of the country’s weak judicial system, which has long been renowned as one of the most corrupt institutions in the country. Yet, the lawyers said it would be difficult to pursue the truth if the case was simply to resume from the point where it ended, and instead urged that it be re-investigated from the start. If the investigation into the case continues, it will be necessary to call additional eyewitnesses who were with Aung Yell Htwe when the incident occurred, said veteran lawyer U Kyee Myint, who is also a co-founder of the Myanmar Lawyers’ Network. “This case is challenging rule of law in the country and threatening public security,” U Thein Than Oo said.